There are so many beautiful ways to exist on this planet. Find yours, and rock it to the fullest always. Honor others who are bravely walking their own paths too. Diversity is life. 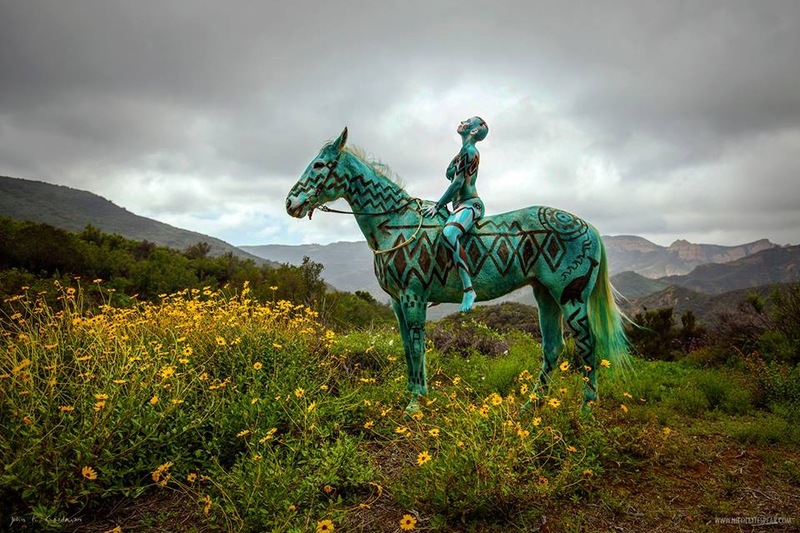 Design by Nicolette Spear Body Painting inspired by Chumash Indian textiles, cave paintings, and stone carving. Also inspired by the beautiful horse loving people of the Shalome Institute in Malibu and their horses.